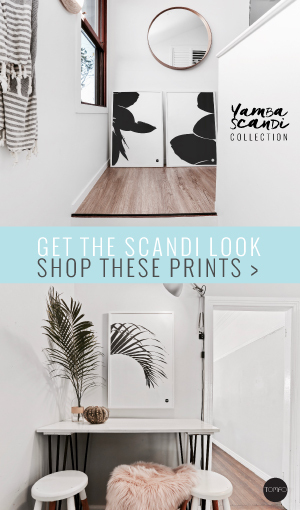 What does this new design in my Yamba Scandi Collection have to do with a fishing rod and life’s lessons? I never knew this before. has many lessons to teach you. These are the things a fishing rod helps you see. The begining of a new one. to drop in a line. Everyone does it, it seems. This one’s inspired by Uncle Rob. I never knew he appreciated the patience and serenity, I thought he was all for laughs and golf and cheeky beers. to remind us that life’s important lessons can be learnt with a fishing rod. What do you think a fishing rod can teach you? The formwork is done and our slab is due to be poured on Friday. Can you just imagine me? Stalking the block to check it out daily, (don’t laugh, it’s now part of my routine!) at least I should be thinner by the time it’s built! PPS: I’m off on a girls weekend, hence my early post, (after a beautiful double cuddle and a million trillion hugs from my boys), can you feel my serenity and appreciation? Thanks Sandra, you are just too lovely. x PS the weekend was fabulous, lots to appreciate. What a beautiful tribute to your uncle and what a beautiful spot you get to call home! It’s making me very Yamba-sick! So happy for you about the house. I love it when a plan comes together! Enjoy your weekend with the girls. Party your pants off! Stunning photographs, all of them. And so tranquil. I definitely agree we can learn a lot when we slow down! I love this post and I love Yamba, such a special place. I need to appreciate the gentle art of observation while holding a fishing rod. I get caught up in the things I could be doing (like relaxing and reading a book) rather than noticing the things I could be seeing. The fact that fish seem few and far between shouldn’t really matter. Looks like Yamba is nourishing your soul right to the core! I think so too, it’s such a great place to be and appreciate all the wonderful things, it makes you slow down and that’s the key like Deb said. It’s all coming together, Sarah!! That cushion is just gorgeous, and what a lovely reminder of your uncle.